X-ray technology is a marvelous invention that allows doctors to take a peek inside our bodies. And it’s still the best way to see what’s wrong with us when we’re sick or injured. 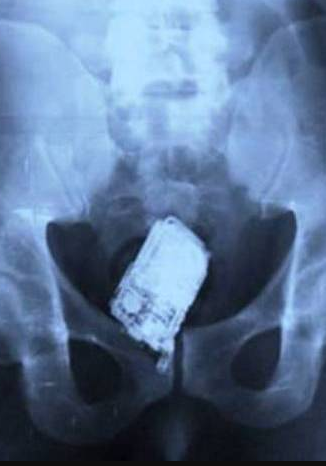 But on rare occasions, X-rays have revealed some weird and unusual things lodged inside a patient’s body. And, boy, do we mean weird. We’re talking about things as tiny as rings to things as dangerous as hand grenades. Stuck up, down and generally just inside of human bodies. Yup. Let that sink in (literally). I mean, hand grenades. Hand grenades! Don’t believe it? 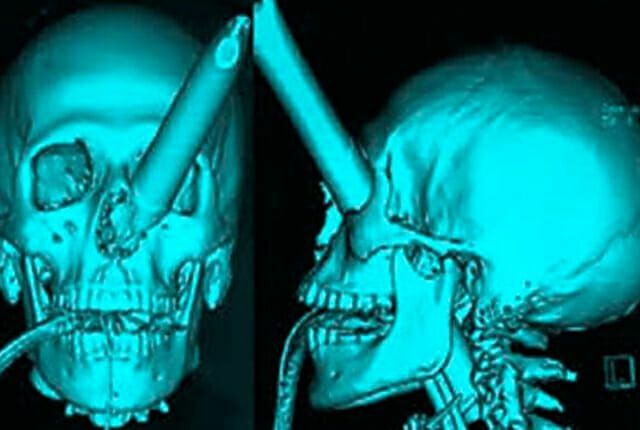 Then check out these crazy X-ray pics you have to see to believe. 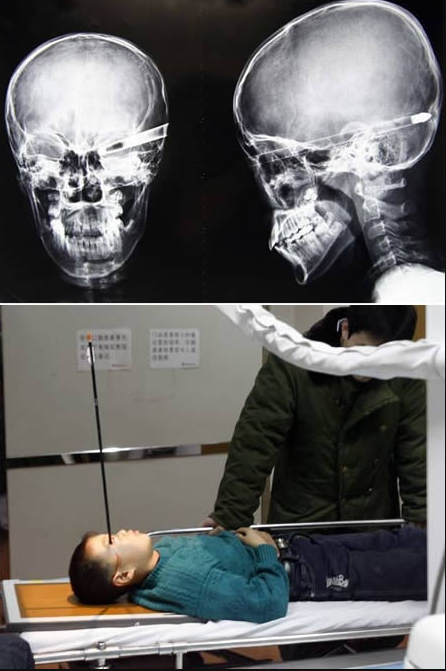 Two school boys in China were practicing their archery when one of the friends shot a 16-inch arrow right through the eye socket of 11-year-old Liu Cheong. The back of the skull was the only thing that stopped the arrow. Fortunately, the boy was rushed to Hida Hospital in eastern China and survived the ordeal.